In what would be an unusual step for most companies, Nintendo is reportedly telling its partner mobile developers to avoid squeezing players too hard for in-app purchases — even though both parties would stand to benefit from the revenue. The company is mostly interested in drawing attention to popular console franchises like Mario and "Fire Emblem," and doesn't want to damage its brand by milking players the way many mobile apps do, sources told the Wall Street Journal. A number of so-called "free-to-play" games can in truth be very expensive, forcing players to spend real money on in-game currency or speeding up essential actions if they want to make progress. More innocuous examples limit transactions to cosmetic items. "Dragalia Lost" developer CyberAgent recently cut its fiscal year earnings forecast for the first time in 17 years, in part blaming per-player revenue from that game. Officials from the company told the Journal that Nintendo specifically asked it to improve the chances of winning access to rare characters. "Nintendo is not interested in making a large amount of revenue from a single smartphone game," one official said. "If we managed the game alone, we would have made a lot more." A Nintendo spokesman simply confirmed that the company discusses "various things, not just limited to payments, to deliver high-quality fun to consumers." In February another Nintendo partner, "Super Mario Run" and "Animal Crossing: Pocket Camp" developer DeNA, said that most of its smartphone titles are struggling except for "Megido 72" — an independent production. 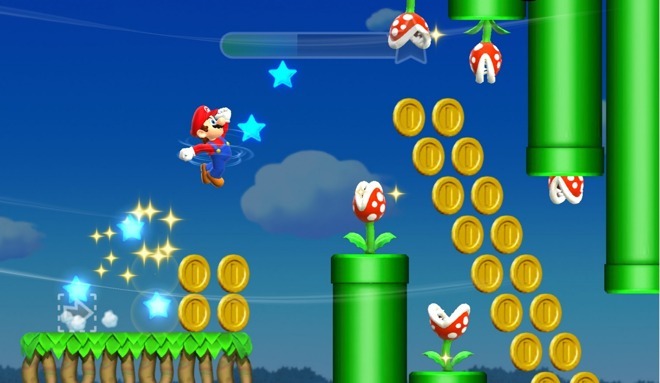 Nintendo is treading a fine line with mobile games, its next project being "Dr. Mario World." It has had to balance the added revenue with the potential for diverting people from its profitable console business.